Kuciak; Broz, Rzezniczak, Astiz, Brzyski; Jodlowiec, Pinto (Vrdoljak, 66); Zyro, Radovic, Kosecki (Duda, 77); Sa (Saganowski, 17). Clarke; O’Brien, Oman, Browne, Bermingham; Fahey, Bolger; Byrne, Brennan (Chambers, 76), Forrester (Quigley, 49); Fagan (Lynch, 85). 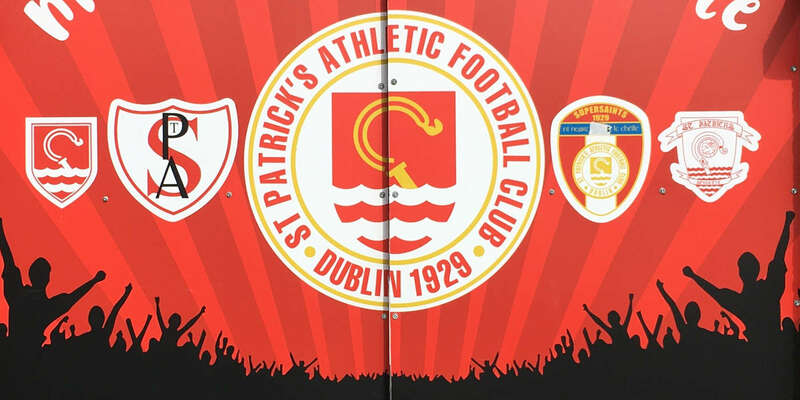 St Patrick's Athletic left Legia Warsaw bewildered in Poland as the Inchicore side defied the odds both on and off the pitch to record a 1-1 draw and one their best away displays in Europe. Christy Fagan gave St Pat's a deserved 1-0 lead at half-time. However, Legia struck late through Miroslav Radovic to secure a draw for the home side. The teams meet at Tallaght Stadium next Wednesday for the second leg. 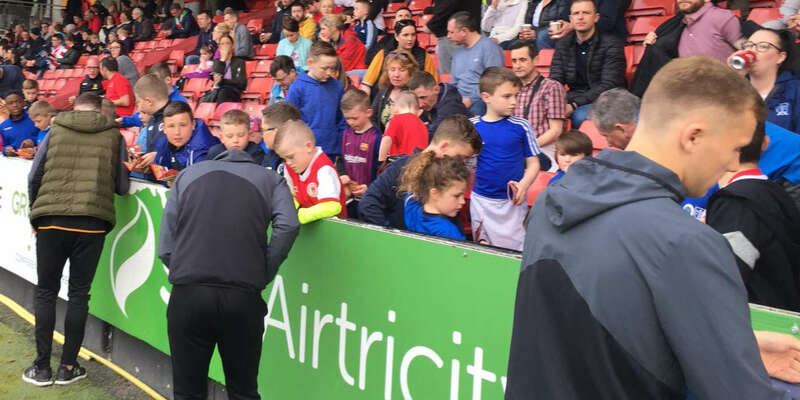 Fagan's first half goal looked to have Liam Buckley's side well positioned to knock out a club with infinitely greater resources, before the heartbreaking concession of a stoppage-time equaliser. 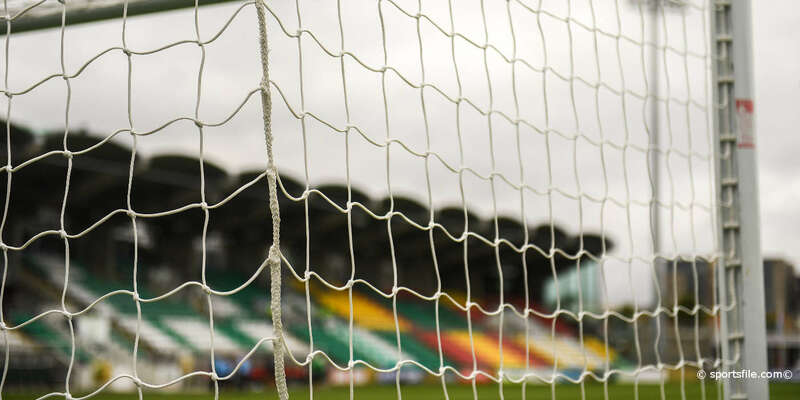 Despite the magnificence of the performance, perspective had come earlier in the day with the desperately sad news that an English-based St Patrick's fan had been found dead in his Warsaw hotel room. While Legia started eight full internationals, Buckley, as expected, set his side up to counter their formation directly, starting with Greg Bolger paired with Keith Fahey as a midfield defensive shield in front of the back four. Buckley spoke in the build-up of it being essential his side kept the ball when they had it as being key to taking anything back to Dublin. And while they saw very little of it early on, they were tight on Legia when the Poles came at them, and excellent on the counter-attack, as they troubled their opponents any time they got forward. Having frustrated Legia, who lost Portuguese striker Orlando Sa to injury on 17 minutes, St Patrick's visibly grew in confidence. Killian Brennan collected skipper Ger O'Brien's free-kick to beat his man inside and bring a terrific tip-away save from Dusan Kuciak on 38 minutes. A minute later, Chris Forrester's cheeky flick with his back to goal from Ian Bermingham's cross was straight at the home keeper. Legia continued to struggle to cause St Patrick's any real problems despite their possession. St Patrick's then enjoyed a purple patch in which they might have scored three times, instead having to settle for a 38th minute lead. First Forrester brought a back-tracking bat away from Kuciak with a 40-yard chip following the keeper's poor clearance. Fahey then put Bermingham away on the overlap and his low cross was turned in from close range by Fagan. It might have got far better four minutes later. Having worked a one-two with Brennan, Kuciak got a strong touch to partially stop Fagan's low shot with Inaki Astiz clearing the loose ball as Legia's fans' chanting turned to whistles. Legia came within inches of levelling in first half stoppage time, though, as Helio Pinto's free kick came back off the bar as the home side protested that Clarke was only booked for taking down substitute Marek Saganowski on the edge of the area. It got little better for much of the second half for the increasingly frustrated Legia as they again enjoyed the possession, but struggled to create openings. Their first chance of the half didn't come until 79 minutes when Tomasz Bryzski's low cross looked to have set up Saganowski to equalise. His shot, though, was brilliantly cleared by Clarke with his legs. But in a final twist, Clarke was beaten in the first minute of added time. Ondrej Duda put Miroslav Radovic through on the right and he drilled a shot through the legs of Clarke.